Recommended fabrics to make the bubble with ruffles are: Linen and cotton. The seam allowance and the hem are both one centimeter (⅜ inch). They are both included in the pattern. Available in sizes 6 month to 6 years. Difficulty: medium DOWNLOADABLE PATTERN, choose, download and print your pattern instantly. - Recommended fabrics: Viyella, batiste, plumeti y poplin. 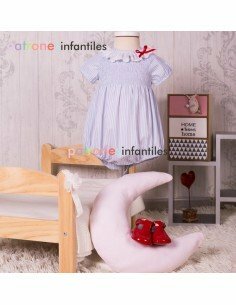 - Recommended fabrics for the bubble are: Wool, viyella, corduroy and flannel - Available sizes 1 month to 36 months - Difficulty: Medium DOWNLOADABLE PATTERN, choose, download and print your pattern instantly. 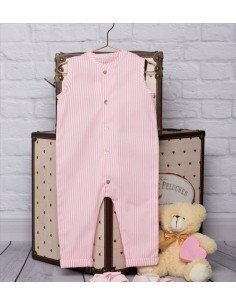 Pattern for making overall baby. The pattern is from 1 month to 36 mounths. The pattern consists of 15 folios. DOWNLOADABLE PATTERN, choose, download and print your pattern instantly. 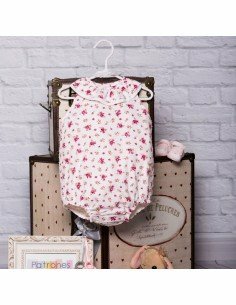 Pattern for making rompers baby.. The pattern is from 1 month to 36 mounths. The pattern consists of 15 folios. DOWNLOADABLE PATTERN, choose, download and print your pattern instantly. Rompers with baby, this 1 month to 36 months. Mameluco to make poplin, cotton or linen. DOWNLOADABLE SKIPPER, choose, download and print your pattern instantly. Pattern for making pompers with sleeve. The pattern size is 1 - 36 moths. The pattern consists of 20 pages. 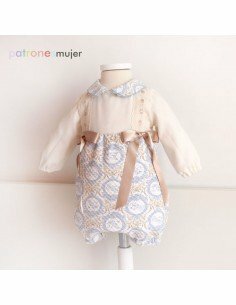 Pattern for making rompers in Viyella, pique, pique or cotton. Rompers balloon sleeve. 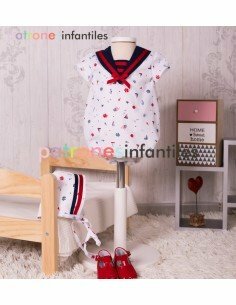 linedSizes 0-18 months. On my youtube channel, I sew clothes step by step:<<click here>>. On my blog you will find the instructions on how to make clothes: <<click here>>. - Recommended fabrics to make the sleeper are poplin, batiste and cotton. - Seam allowance is included and it’s ⅜ , also for the hem. - Difficulty: Easy - Sizes 1 month to 36 months. - DOWNLOADABLE PATTERN, choose, download and print your pattern instantly. -Recommended fabrics for the romper are swiss dot, batiste, cotton, poplin and linen. - The seam allowance is one centimeter (⅜ inch) and it’s included in the pattern. -Difficulty: Medium - Sizes 1 month to 36 months. - DOWNLOADABLE PATTERN, choose, download and print your pattern instantly. Navy style romper pattern with video tutorial for its preparation. The hood are included in the consumption. He is from size 1 month to 36 months. It consists of 15 folios. DOWNLOADABLE PATTERN, choose, download and print your pattern instantly. Romper pattern with video tutorial for its preparation. He is from size 1 month to 36 months. It consists of 15 folios. DOWNLOADABLE PATTERN, choose, download and print your pattern instantly.